One of the most important aspects of your elevator maintenance regimen is an annual elevator inspection. The inspections are not performed by your elevator maintenance company, rather they are performed by 3rd party inspectors like our inspectors, Danny & Joe, with DD Elevator Inspections. DD Elevator Inspections works closely with homeowners, businesses, municipalities, churches, schools, Universities, & even Government and Federal facilities to provide their required (or requested) annual inspection(s). 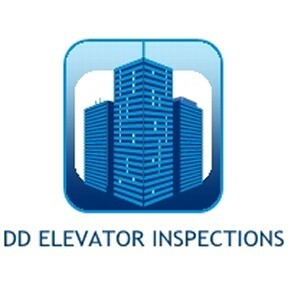 Contact DD Elevator Inspections today & let them add you to their list of satisfied clients. If you have an elevator, or any sort of conveyance system, you may be required by your State, like in Alabama, to have an annual inspection. Our team is Qualified Elevator Inspector-certified and partake in continuing education courses yearly to stay current. Additionally- we are State licensed in Alabama, Florida, and Mississippi, as well as being nationally recognized QEI certified. You can count on us for efficient services and continued availability & to follow up with you as necessary. We have more than two decades of experience in the elevator industry & office management. We offer very personalized services, so you don’t feel like just another invoice number. We strive each day to build long-term relationships with all of our clients, and we are loyal to our clients. Trust us to deliver accurate, meticulous, efficient services and to live up to our excellent reputation. Contact us for trusted elevator/conveyance inspection service needs.